Later this month, Nia Long is set to star in her latest role in Tyler Perry's "The Single Moms Club." And to help celebrate its release, the gorgeous actress is gracing the cover of ESSENCE magazine's April issue. For the glossy's feature, entitled "Nia In Charge," the 43-year-old mother of two opens up on an array of topics, including callback jitters when her son Massai decided to audition for "Single Moms" as well. "I was so nervous Massai wouldn’t get the job. I didn't want to have to break disappointing news, so I explained to him that as long as he gave it his best that's all that mattered," Long told ESSENCE. "I also told him that life has highs and lows, wins and losses. Just as I was saying all this, the phone rang. It was my agent with the good news. We did the happy dance and started packing our bags." Massai, 13, penned an open letter to his mom, also printed in ESSENCE, that expresses his appreciation and gratitude for working alongside her. "Filming The Single Moms Club was a lot of fun. It was awesome working with you, and I can't imagine how hard it would have been if you weren't there," Massai wrote. "Now I really understand how hard you work." 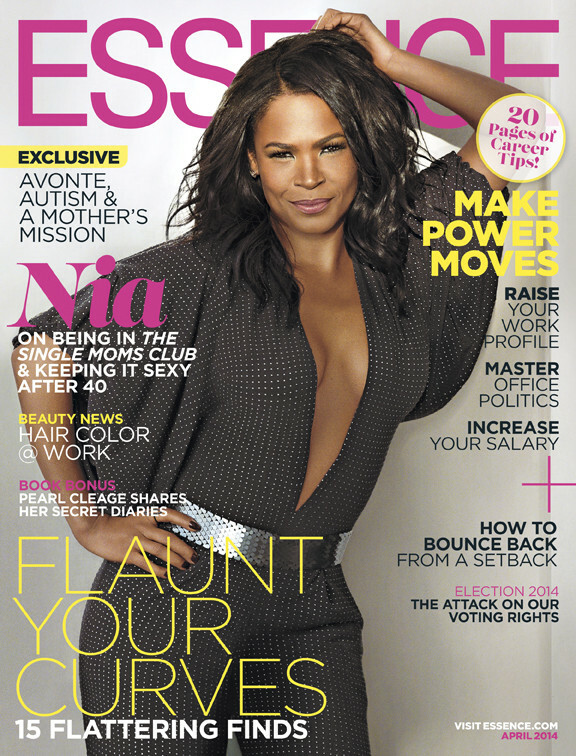 Check out more of Nia Long's interview in the April 2014 issue of ESSENCE magazine, hitting newsstands March 7.